The best thing about Atlanta Georgia is WRAS, the Georgia State University radio station at 88.5 FM. In a city with many great attributes, WRAS is the best of them. WRAS was, at once, wildly unpredictable yet the most consistently programmed radio station in Atlanta. Every other commercial radio station in town has shifted focus or formats too numerous to count. 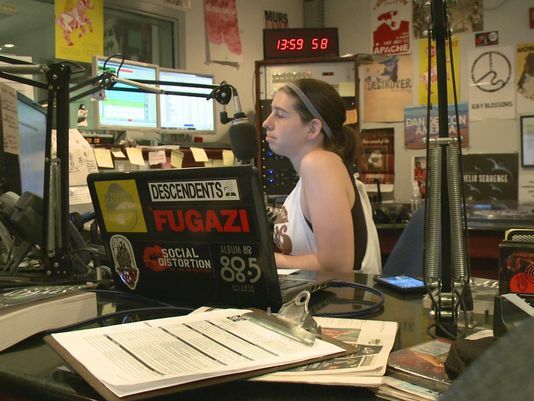 But WRAS has always been a radio station with a mission: Play great, accessible music unheard elsewhere on radio — with an emphasis on artists unsigned by major record labels. Georgia State president Mark Becker has made a puzzling decision to “partner” WRAS with Georgia Public Broadcasting. The benefits for Georgia State are nebulous, except to give its president and his friends (and GSU donors) another radio station with a news-talk format that they prefer to the strange yet wonderful noises that have emanated from 88.5 since 1971. They’re trading in 14 hours of student programming per day for vague promises of exposure on the fringes of GPB’s statewide network. It’s a great win for GPB, which has understandably craved an Atlanta radio presence. Way to go, GPB. I like GPB, but I love WRAS. The decision to gut this radio station is ugly and sad. In a world where radio is becoming increasingly homogenized and corporate and syndicated, GSU has cheerfully thrown in the towel to those impulses. GSU’s spin that ‘WRAS isn’t going away because it will still be on the internet and on FM overnight’ just makes the taste worse. Colleges everywhere have internet radio stations with tens of listeners. Georgia State was, purportedly, the only all-student-run radio station in America, and it has a burly 100,000 watt FM radio signal. WRAS was good for students. With a volunteer staff of about 70 students, WRAS has the personnel footprint of a football team. Students who have worked at WRAS have parlayed the experience into real-world post-graduation careers, with the added benefit of giving their listeners music they never would have heard on any other radio station. Many of them are now on the march to forge a compromise with GSU, which excluded students and alumni from its decision. Radio listeners are accustomed to getting their faves torn away by the cruel realities of corporate radio ownership. One can argue that this is no different, that WRAS was bound to be seized at some point by GSU as an underutilized “asset,” and reshaped into something more ratings-friendly — even though WRAS never subscribed to any ratings services because nobody at GSU cared about the ratings. Prior to the Becker regime, WRAS was viewed as a lab run by volunteer students — which delivered real-world feedback from listeners, and from the music industry that viewed WRAS as a tastemaker nationally and valued spots on its playlists. You can argue about the relevance of radio, but the tug-of-war over this one shows that local radio ain’t dead yet — despite years of predictions that it would die by way of satellite or Pandora. Now GSU is creating yet another radio station largely drained of its unique, local programming. Way to go, GSU. 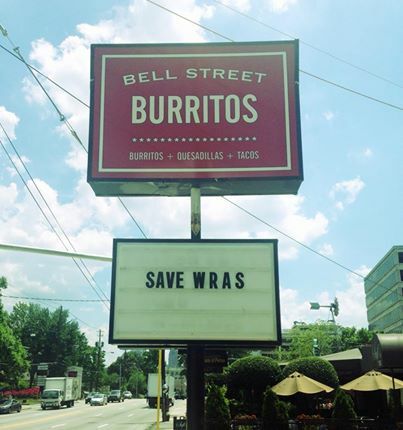 But none is better than WRAS, a true Atlanta gem. GSU ought to reconsider. This entry was posted in wras on May 12, 2014 by live apt fire. Amen. Particularly your dead on summation: “The decision to gut this radio station is ugly and sad.” Some folks need a visit from the Ghosts of Christmas.